As someone with reactive skin, sunscreen shopping is not fun every summer. 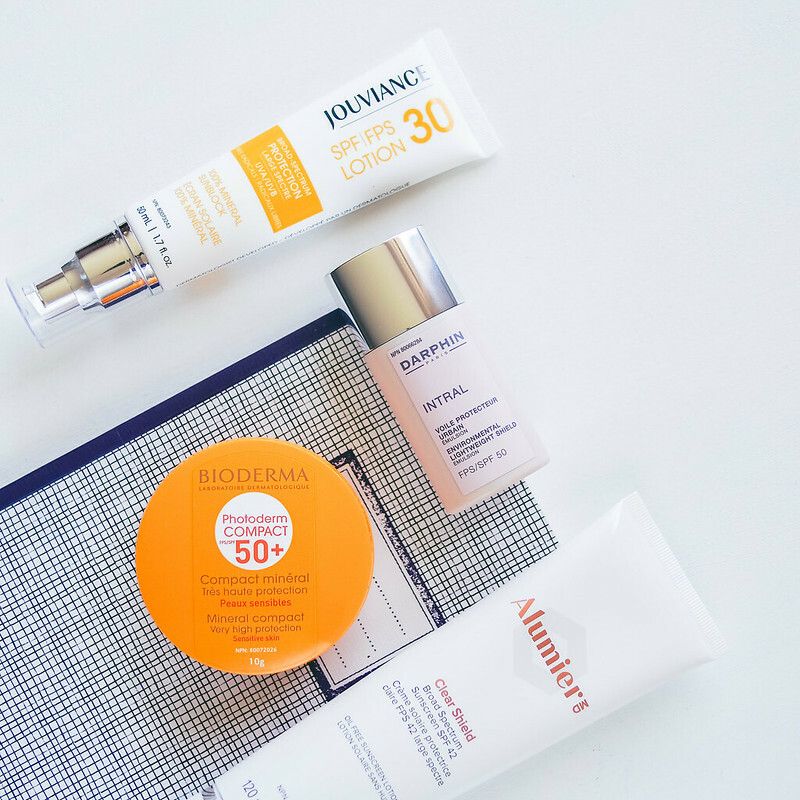 While my body can handle a wide variety of options, my face is very selective about what its willing to settle with but in recent years I'm excited to see more choices for mineral products as brands diversify their sun lineup. With the exception of Alumiere MD, all the other products here are new for this summer which seems like a bright outlook! While we all love the fluid textures of chemical sun filters, I do think the physical products are the safer and more universal way to do sun protection and it seems like brands are exploring that route especially with the expansion of the green beauty realm. If we did a blind fold test, I'm certain you wouldn't be able to guess that the Darphin is a 100% mineral product. Now all I'm wishing for is a great well edited skin tone tint SPF and I wouldn't have to be hiding indoors all the time. I'd love to hear about what you've been using this summer so chatter away down below!